My third winter 12 pack of the season was the Winterland Variety 12-Pak from Magic Hat Brewing Company (Burlington, VT). #9, Magic Hat’s flagship beer is a Pale Ale with apricot extract – a sessionable Pale with a twist. Encore, an American Wheat IPA, this brew is a blend of an American wheat beer and a traditional India Pale Ale. Nicely hopped, Encore has a beautiful grapefruit aroma and flavor. Howl, this “Black-as-Night Winter Lager” is perfect for the winter weather. 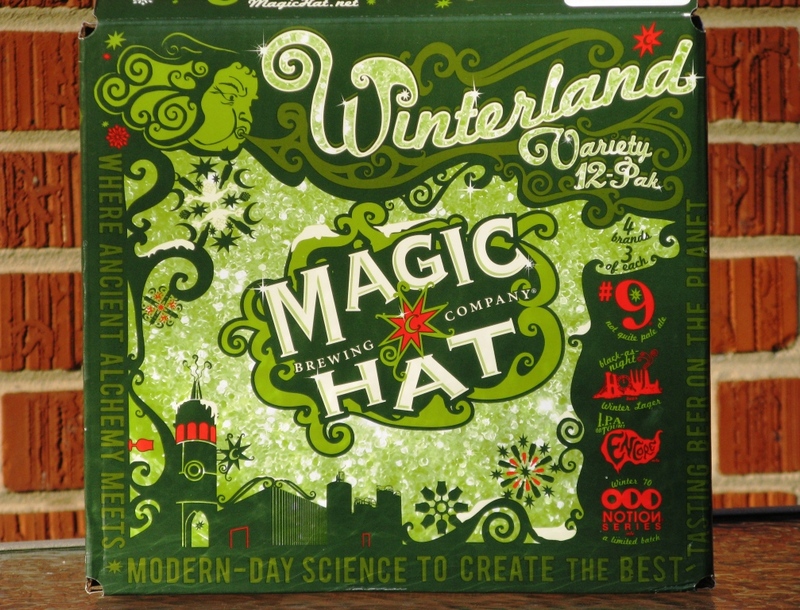 Magic Hat describes this 12-pack as “Our gathering of seasonal offerings to help you enjoy your winterland wonderland.” With the cold snap we’re having in Maryland before it’s even officially winter, I think I better go back to the store and stock up on this 12-pack!